Eleven students from the Barrouallie Secondary School (BSS) were this week detained by police for gambling on the school compound. On Monday, around 1 p.m., police officers, attached to the Barrouallie Police Station, snuck up on the students in a classroom at the BSS, where they caught them gambling. It is not sure what game the students were playing. The students, including two females, were taken to the Barrouallie Police Station and their parents called to get them. No charges were laid. But if the police removed the students without the knowledge of the principal of the school, that was a breach of the Education Act and therefore an illegal detention by the police officers involved, an experienced educator told SEARCHLIGHT. Mondayâs incident also raises questions about the adequacy of supervision of children while at school and how widespread is gambling among the school population. Was there a teacher in the classroom with the children, and if not, why not? A father of one of the students told SEARCHLIGHT that he was called and told that his son was at the police station and he should come fetch him. He said that when he arrived, he was told that his offspring had been caught gambling on the school compound. The mother of one of the girls refused to say much, but did say that she was asked to come get her daughter, but was not sure what had happened at the school. Principal of the BSS Kenneth Holder, when contacted on Monday, said that he could not speak to the press and that all questions should be directed to the Ministry of Education. When asked if police officers were allowed to just walk onto the compound without the permission of the principal, Holder said that the police usually make routine checks at the school. âNothing out the ordinary happened here today,â offered Holder, who did not elaborate on the comment. He did not say if he had given the officers permission to enter the compound. 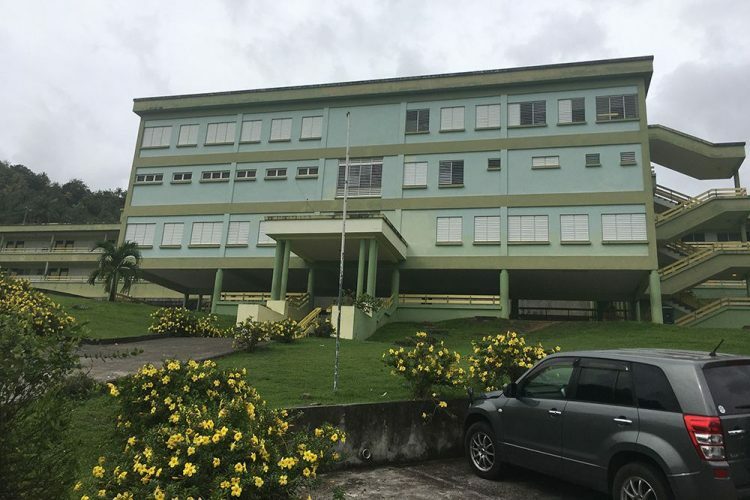 When contacted, a high-level education official said they were unaware of the incident, but it may have been reported to the Permanent Secretary in the Ministry of Education Morine Williams, who was out of office when SEARCHLIGHT called. But while Holder refused to comment on the incident, a principal of another institution said that if the police went onto the compound and removed the students without the knowledge of Holder, that was a breach of the Education Act. âOnce the police, or anyone, comes on to a school compound, they have to report first to the principal. The principal has the role of the parent in the school setting and in a case like that, he or she would have to accompany the police to the point and the interaction has to be along with the principal. âThe principal is like a substitute parent when students are at school. The protocol there is wrong if that happened. Is like someone came into your home and took up your children without your permission,â said the educator, who added that schoolchildren are seen as juveniles and must not be removed from school just like that. This latest incident comes almost three months after senior magistrate Bertie Pompey fined two men EC$400 each at the Kingstown Magistrateâs Court, for gambling. The two men were caught with $26, while gambling in Kingstown and on Tuesday, April 4, when they appeared before the Court, one man explained that he is unemployed, while the other said he occasionally sells bread, but does not make much money from it. Pompey reminded the men that gambling is illegal in St Vincent and the Grenadines and ordered that they each pay $400 forthwith. The men were allowed to pay EC$100 and the remainder in two weeks, after lawyer Grant Connell intervened on their behalf.